Friction Welding has become the premier choice for companies looking to join dissimilar metals. Because Friction Welding is a solid-state joining process that does not require melting, it allows for the bonding of two metals, such as Copper and Aluminum, that may be impossible to join with more traditional welding techniques. With fusion welding processes like MIG and TIG welding, it can be challenging to join dissimilar metals because they often differ substantially in composition and physical, mechanical and metallurgical properties. Copper and Aluminum have drastically different melting temperatures. Copper has a melting temperature of 1984°F; Aluminum has a melting temperature of 1221°F. This means that if you were to join the two materials using fusion processes, you would run the risk of overheating and weakening the aluminum. In fact, with fusion processes, you will always change the material properties of one or both materials due to melting. Even though it’s sometimes done in industry, TIG welding aluminum to copper is not considered a viable process. So, how do we more efficiently join these two materials? Friction welding is the most effective bimetallic joining technology available. With friction welding, the welds are of forged quality and the materials are plasticized rather than melted, creating higher strength welds than fusion processes. Plus, a properly developed friction weld will not develop galvanic corrosion, also known as bimetallic corrosion, around the joint. 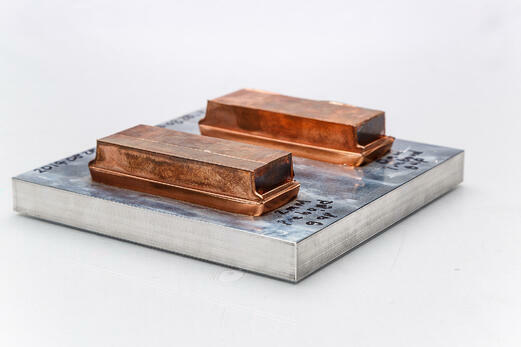 Using linear friction welding, MTI joins copper to aluminum to form heat exchanger plates for vehicles. While copper transfers heat faster than almost any other metal, copper doesn’t mount to other surfaces very well or very rigidly. So, copper is welded to aluminum, allowing the aluminum to be used as the mounting surface. 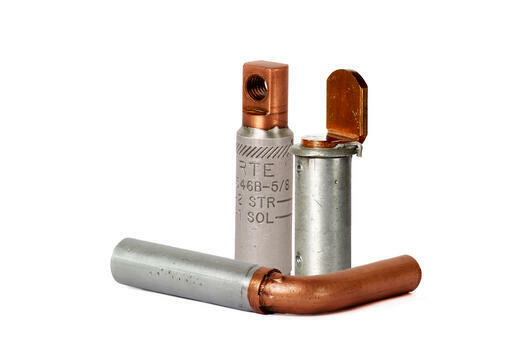 MTI uses rotary friction welding to join aluminum alloys to copper alloys for electrical connectors. By doing so, we get the benefit of copper’s heat transfer properties combined with the cost saving benefits of aluminum. 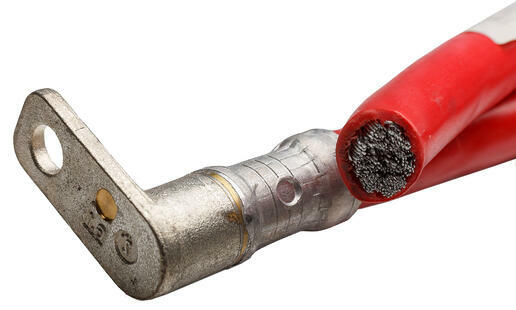 MTI also uses rotary friction welding to join copper to aluminum for battery cables. In this case, copper and aluminum are both ideal for different reasons. Copper provides high electrical conductivity with little resistance while aluminum is a much lighter metal. By substituting heavier metals for aluminum when applicable, we’re able to reduce the weight of the final vehicle, which is referred to as lightweighting. That’s why combining aluminum with other materials has become a critical aspect of automotive production. 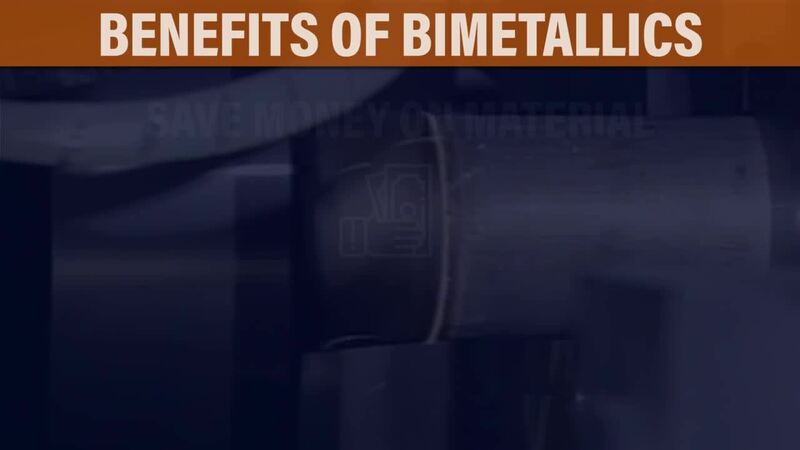 MTI has decades of experience joining bimetallic applications. Our chief metallurgist, who has over 30 years of experience, works with our process engineers to develop the weld procedure. As the friction welding experts, MTI has the knowledge, know-how, and quality certifications to solve your manufacturing problems and has more than 300 years of combined friction welding experience. 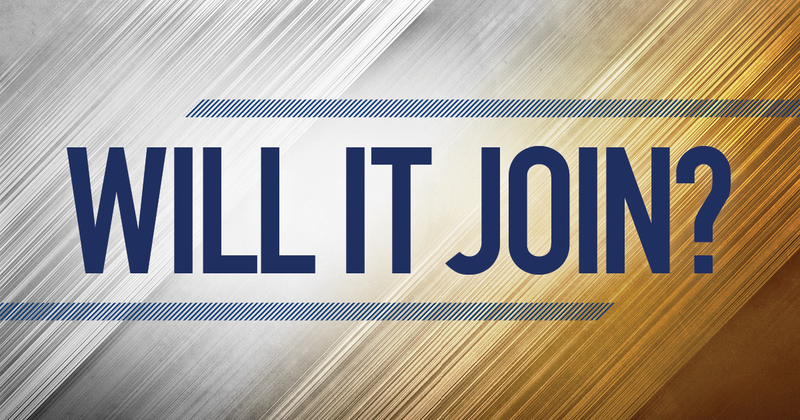 We’ll build a machine that makes your part, we’ll make the part for you, or we’ll help make your part even better.